Hawthorn’s Town Hall Gallery will open its doors after dark on Friday 15 June, for a night of live music, art, wine, shopping and exclusive access to artists and curators. Running in conjunction with the gallery’s latest exhibition DEEPER DARKER BRIGHTER, Town Hall Gallery After Dark invites audiences to a special showing of the exhibition, the Community Project Wall and entertainment from Melbourne’s violinist beatsmith, ORCHA, who will perform on the night. Taking to the stage as a two-piece drumming/violin outfit, ORCHA layers, loops and effects his sounds in the moment while adding his own vocals and feature artists. Last year ORCHA debuted his talents across Melbourne, performing at The Toff, Gasometer Hotel, Workers Club and The Curtin. The exhibition curators and artists from DEEPER DARKER BRIGHTER will be on hand to answer any questions. Influenced by an astrophysics program dedicated to searching for the fastest explosions in the universe, DEEPER DARKER BRIGHTER is the inventive outlet for artists Pamela Bain and Carolyn Lewens; who are fascinated by astronomy and the existing technology behind it. 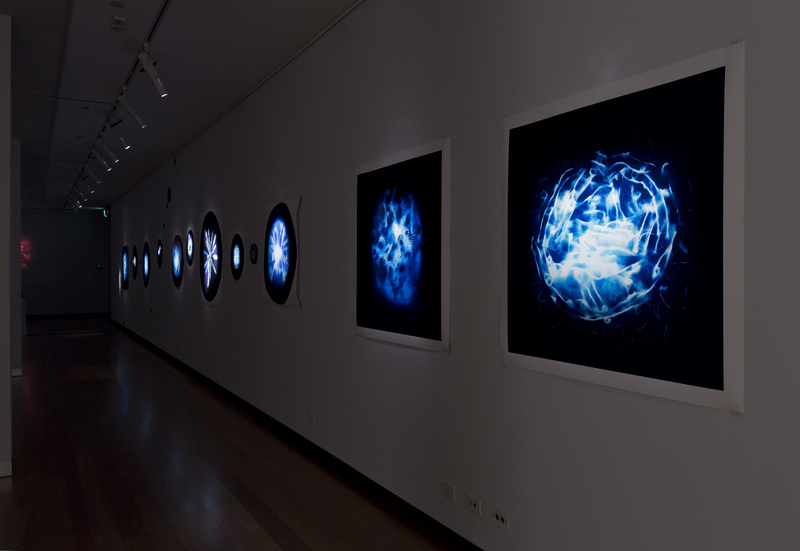 The artists created this work through Swinburne University’s Centre for Astrophysics and Computing. Gallery-goers can make full use of the Arts Bar and The Emporium will also be open to purchase unique hand-crafted gifts. Spanning three gallery spaces, Town Hall Gallery features a diverse range of contemporary public programs, curated exhibitions and exhibitions drawn from the Town Hall Gallery Collection, celebrating the rich cultural heritage of the City of Boroondara. Part of the Public Galleries Association of Victoria, Town Hall Gallery supports local, national and international artists at varying stage of their careers and offers a space for local artists and community groups to exhibit professionally on the Community Project Wall.